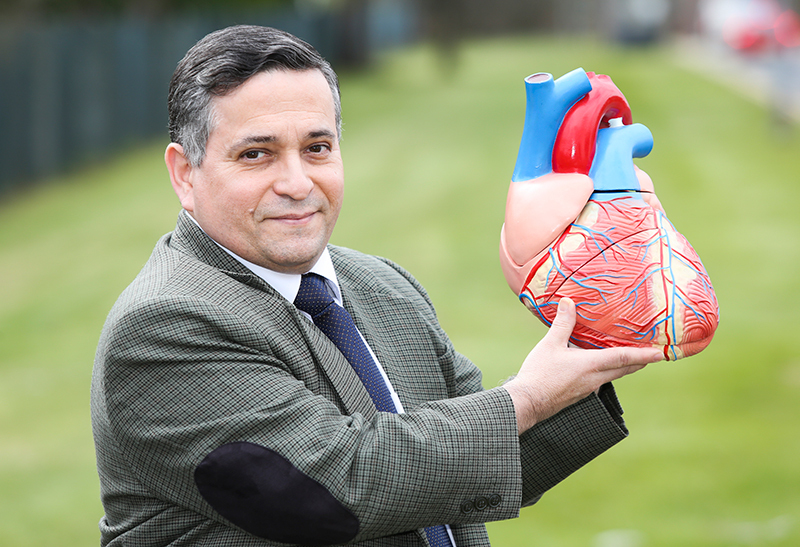 New research being undertaken by Ulster University could revolutionise the diagnosis of abnormal heart rhythms and cardiovascular disease globally. Irregular heart rhythms are a major cause of sudden cardiac deaths, which account for fifty per cent of all cardiac mortality in developed countries. Ulster University has secured £256,000 to develop pioneering wristband sensor technology, which can identify symptoms at a much earlier stage. When worn regularly, the sensor will identify and record abnormal heart rhythm, immediately alerting the wearer and healthcare professionals to any changes suggestive of deteriorating heart health. Such early detection could dramatically reduce the risk of stroke, heart failure and dementia by providing medical intervention as early as possible to increase the effectiveness of patient treatment and survival. The wearable technology will be integrated with current electronic cardiology information systems to provide health professionals with remote access to patients' up-to-date records. "Ulster University's research in the connected health arena is recognised as world-leading. The funding award to carry out this important European research project is a result of our ongoing commitment to deliver technological advances for cardiovascular patients globally. "In the early stages of heart disease, abnormal cardiac rhythms can be very difficult to detect and need to be monitored for weeks or even months with considerable discomfort to patients and high costs to the health service. Our research will develop a non-invasive and affordable device that can monitor heart rhythms from the moment it is attached to the patient. "Our focus is not just the creation of pioneering medical technology but to also deliver a patient friendly solution that can reduce healthcare costs and increase administrative and diagnostic efficiencies." 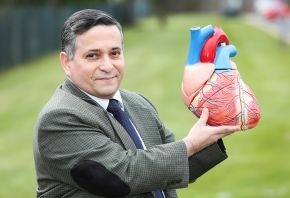 This international, multi-sector research is being led by Ulster University's Centre for Advanced Cardiovascular Research based at the university's Nanotechnology and Integrated Bioengineering Centre. It will be delivered in partnership with clinicians such as Dr David McEneaney from the Southern Trust and scientists at the forefront of cardiovascular research in Europe and South America including University of Zagreb (Croatia) and Federal University of Rio de Janeiro (Brazil). The research will take place over three years and is funded by the European Commission H2020 Marie Sklodowska-Curie RISE actions programme.